Right in the heart of Colonial Williamsburg stands the Peyton-Randolph House. Since it was first built in 1715, the Georgian-style mansion has earned its reputation as one of the most haunted places in Virginia. The home received its name from its first owner, Peyton Randolph, a prominent politician who served as the first president to the Continental Congress during the American Revolution in the late 18th century. Many famous revolutionary figures have visited the home including Randolph’s cousin and third US President, Thomas Jefferson. Over time, the Peyton-Randolph House became the scene of many tragedies. 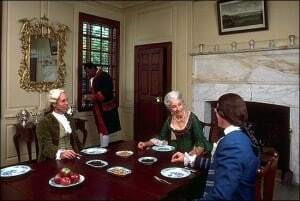 During the American Revolution, the home served as a hospital for wounded soldiers. Most likely, a great many soldiers drew their last breath within the walls of the home. 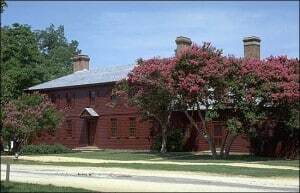 In fact, many deaths occurred in the Peyton-Randolph House. A former Confederate soldier of the American Civil War passed away in the home after succumbing to illness while attending the College of William and Mary. Later, two men met their demise here after fighting to the death over a heated argument. In the 19th century, a young boy died suddenly after falling from a tree nearby. Oddly enough, a little girl also died here after plunging from a second-story window of the house. Today, visitors witness strange movements from the second floor window. Perhaps the little girl continues to play inside the house. Of course, any home where so many lived and died seems to attract the ghosts of its former residents. Marquis de Lafayette, the famous French General of the American Revolution, insisted the house was haunted after spending a night there. During his stay in 1824, he felt the icy grip of a ghost’s hand upon his shoulder and heard strange voices echoing throughout the halls. Today, guests who visit the Peyton Randolph House will occasionally spot a glowing apparition of a man dressed in 18th century clothing. Others hear the mysterious sound of boots stomping throughout the house. Do the former residents of the Peyton-Randolph house continue to wander inside its halls? Those who dare can take a historical ghost tour of Colonial Williamsburg to find out for themselves.